After a series of allegations by Reliance Jio, the Cellular Operators Association of India has ruled out the chances of making an apology to Reliance Jio post the Mukesh Ambani led telco filed a defamation suit in court against the industry body. 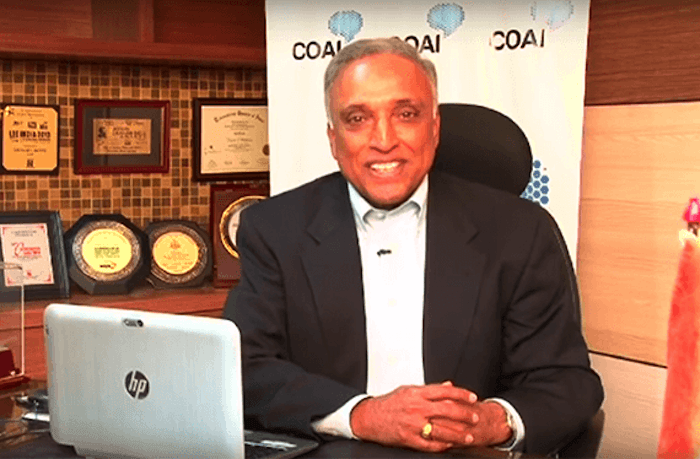 COAI Director General, Rajan Mathews, who was also alleged by the telco said “COAI will not apologise because nothing that was said was defamatory. We are studying all the documents and will counter each of their points in court.” The legal counsels for COAI are exploring their options to counter the allegations made by Reliance Jio. However, a person aware of the ongoings said that a counter lawsuit against Reliance Jio was rather unlikely given the present situation. Apparently, next hearing of the Reliance Jio suit is scheduled to be on August 24. The matter spurted into a full fervour when Reliance Jio alleged the association along with its DG saying that the industry body tried to put obstruction while Jio was entering into the market. The telco also said that the association also interfered with the growth of the company by advancing the interests of other members of the COAI. The other members which Reliance Jio might be referring to can be Idea Cellular, Vodafone India and Bharti Airtel which make up for around 60% of the total subscriber base in India. This is not the first time that the matter has come into light. For quite some time now both the parties have been on polar ends regarding the issue with Rajan Mathews, the COAI DG claiming that the association speaks for the industry and not over individual interests. The matter sparked into a fire when Reliance Jio filed a defamation lawsuit against COAI and Rajan Mathews when both the association and DG said that the telecom regulator favoured Reliance Jio over other incumbent telcos. It was in last week that Delhi High Court admitted the defamation lawsuit against COAI and asked Rajan Mathews to hold back on words like disparaging and defamatory” words or phrases, which according to the telco’s allegations had hurt its reputation. COAI had earlier quoted that the allegations made by the telco were “patently misconceived” and “without merit.” It was later, when ET informed that a Jio official had spoken about the issue saying that moving court was the last resort for the telco since the association had also blamed the regulator for wrongfully favouring the Mukesh Ambani telco. Not only this, even on issues like points of interconnection, local and international call termination charges the incumbent telcos along with COAI, have gone against Reliance Jio and the regulator. Now it remains to be seen how both the parties approach conclusion to this long struggle. COAI had famously stated once that representation and office bearers are selected based on national RMS. Now that Jio has pipped idea in RMS, why aren’t we seeing Jio employees as office bearers in COAI? This mud-slinging against each other is just drama for regular people like us. Don’t get carried away whether you like Jio or any other operator.